Some people enjoy listening to music while they’re hiking, camping, biking, or being physically active while outdoors. I prefer my music while sitting by the pool, being fairly inactive. Whether you like to get moving while you listen, or enjoy the sedentary life, a portable speaker is ideal. An added bonus is when your speaker is waterproof, in case you’re caught out in the rain, or if your dog accidentally knocks it into the water. You can snag the Soundcore Icon by Anker Portable Speaker for $10 off right now on Amazon, which is the first time it’s ever been on sale. The mini version of this speaker is also on sale, for $6 off. The larger speaker has 12 hours of battery life, while the mini has eight. 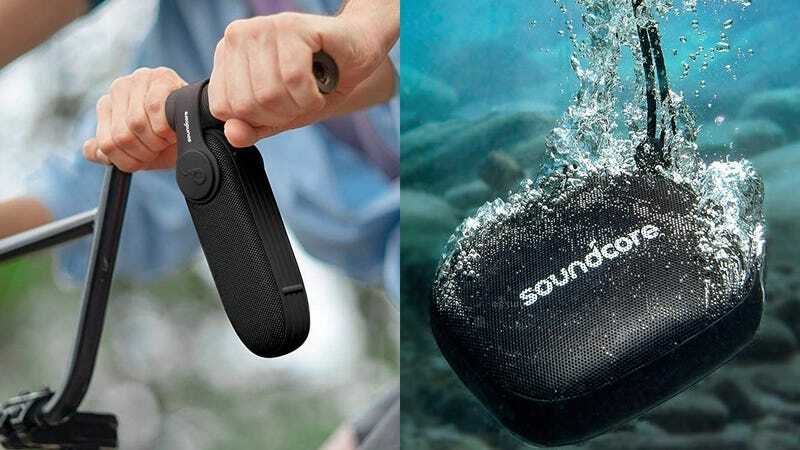 The portable speakers can survive water, dust, sand, snow, mud, and can even float. Now I won’t feel bad if I drop my speaker because I am too busy carrying my snacks back to my beach chair.